October will be our last month for the season. Come join us, Thursday, October 15th for our final run of the season and enjoy a celebration after at Seven Arrows Brewing! Afterward we will head over to Seven Arrows Brewing Company for a pint! EXCLUSIVE for our running group participants, you will receive 20% OFF on top of the usual Thirsty Thursday $1 off pint night for the evening! Please share and bring a friend for this great social event! The 2015 RTV series is coming to an end in only a few short weeks, October 10! Those eligible must have participated in the Mad Anthony Mud Run, Park to Park 1/2 Marathon, AND the Summer Extravaganza 5K. 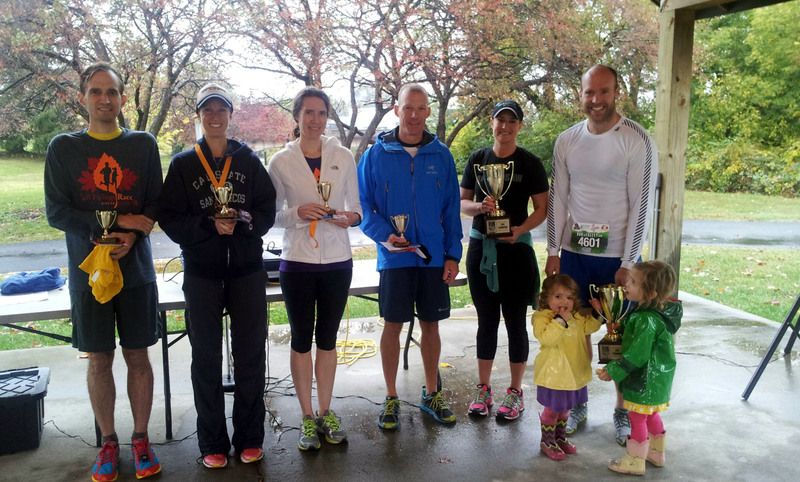 The forth and final race is the Fall Foliage 10K coming up on Saturday, October 10. You can find your ranking within the series below. Remember, all participants in the series receive a surprise RTV swag item. The top male and female finishers receive your races fees for 2015 returned to you IN CASH & you will get COMPED registrations to all of the races for 2016… now that is SWEET!!!! The 2014 Run The Valley Series is in the books. After the smoke settled and the 29 total men and women completed the series, Ryan Gundling once again prevailed in the men’s division with a cumulative time of 2:50:55 to capture his 3rd Championship. In the women’s division, Chrissy Hunter dethroned defending champion Kathryn Campbell to win her first championship with a cumulative time of 3:44:12. Thank you to all of our participants and we hope to see YOU next year! 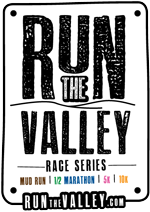 © 2019 Run The Valley Race Series. All rights reserved. Web design by Studio JWAL. Logo designs by Mountain Laurel Studio.